I spent the day in Scanning Hell: it's good, though, because now I have more art to choose from and will not -- at least for a while -- fall short of basic materials for the deck. 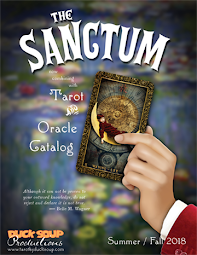 Still I didn't want to let the day go by without getting a new card done... and this was not only easy, but it really appealed to me as a concept for an oracle deck. Palmer Cox's Brownies were among the very first "cartoon" characters to be licensed for use in advertising, and in spin-off merchandising products. These do-it-yourself stuffed doll patterns were very popular and cheap methods of getting a famous character doll into your home. 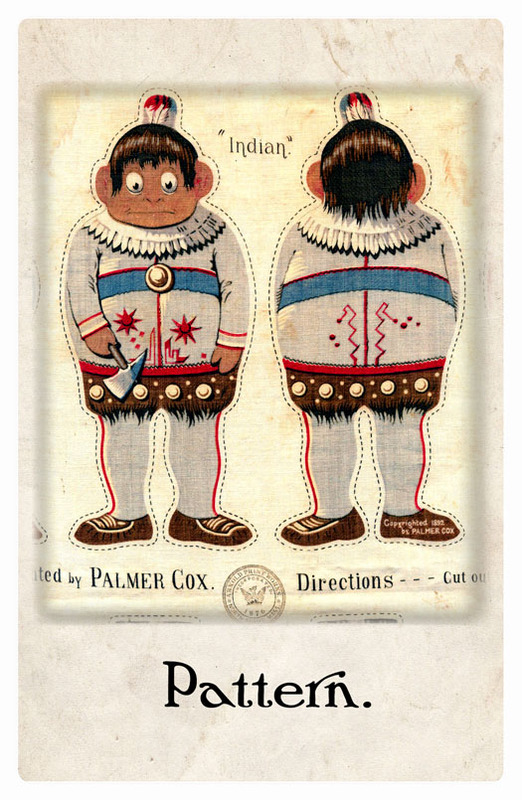 For the purposes of the card, the patterns on the Native American Brownie's dress are as important as the fact that he himself has been patterned, has become a pattern. He encourages us to look at the underlying patterns in our lives and examine whether they are helpful or deleterious to our greater development.